Dan Chabert is from Copenhagen, Denmark. He is an entrepreneur, husband and ultramarathon distance runner. He owns and manages Runnerclick.com, Monicashealthmag.com & nicershoes.com and he has been featured on a lot of popular runner blogs all over the world. After running for nearly my entire life in some capacity — long distance, short distance, roads, trails, and everything in between — I’ve come to the conclusion that running is hands-down the most accessible sport out there. If you want to run, all you need is the will to do so and a safe place to do it. You can run on a treadmill at all hours of the day or night, through a park, around your neighbourhood, or up and down a mountain pass; similarly, you can run as fast and hard as you can for seconds, or you can make it a more slow-going endeavour, taking your time and being out there for hours or even days on end. There’s so much variety in our sport, which surely helps enrich the lives of those of us who do it regularly. So many people I know enjoy running just for the sake of running, and that’s fantastic. Many more people I know who run regularly, however, always do so with the intention of training for a particular race that they have on their calendar. There are obviously advantages and disadvantages to both “ways” of running, but with 2016 quickly coming to a close and many people beginning to look to 2017 and starting to ponder their goals, I wanted to throw out a challenge: make 2017 the year you run your first trail race. As I said earlier, I’ve been running for nearly all of my life, but it’s only been within the past few years that I’ve discovered the amazing world of trail running and trail racing. Let me assure you: it rocks! If you’ve been running your entire life and haven’t forayed into trails, what better time to do it than now? 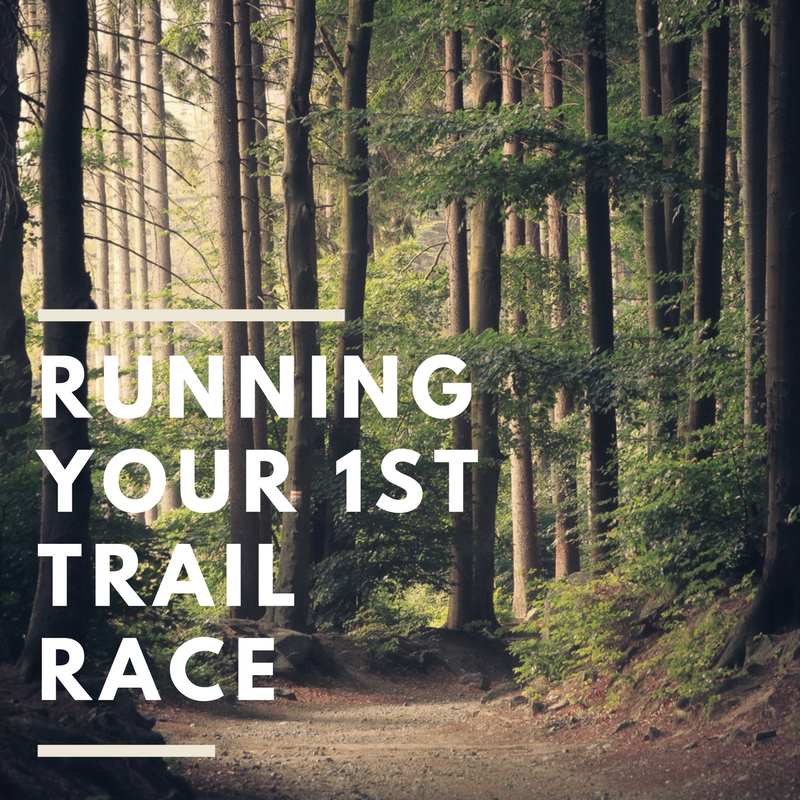 If you’re new to running and don’t even know what a trail run is, what better time to learn than now? There’s something for everyone out there, and everyone can benefit from running and racing trails. Here are some reasons why you should seriously consider registering for a trail race in 2017. Having a race on the calendar can help you focus and stay accountable. With winter coming up so soon, it can become all-too-tempting to roll over in bed each morning and skip our morning run. With a race on the calendar, though, you’ll probably be less inclined to do that if for no other reason than you want to show up at your race starting line thoroughly trained and ready to rock. 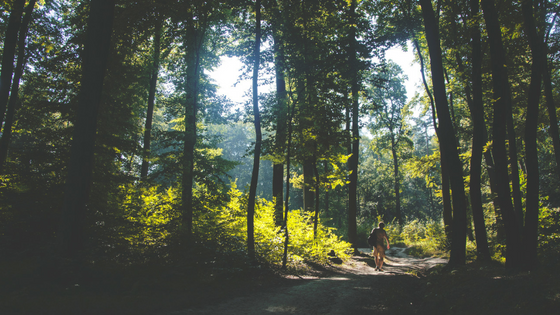 In addition, when you’re training for a trail race, you may find that you have to train a little differently compared to how you usually do, perhaps by going out of your way to run hills more regularly, to practice hiking and power-hiking, or to figure out how you can gracefully yet expeditiously fly through downhills without wiping out. Having a trail race on the calendar can help you stay focused and make you pay more attention to your training than you usually would — particularly if you’ve been running for a while and are used to running roads — and you’ll be more likely to show up on race day ready to rumble. Racing trails makes you mentally tough. Mental toughness is critically important in running, training, and racing, and trail running makes this incredibly apparent when you’re staring down a huge ascent or descent and readying yourself to blast through it. You’ll likely find that when you’re training on trails, you’ll be spending more time on your feet than usual — since it’ll likely take you longer to cover the same distance than you would if you were training on flat pavement — and this mental toughness can pay dividends on race day. Remember: you don’t grow as a person until you venture beyond the cozy confines of your comfort zone. Most importantly: it’s so fun! Perhaps the most important and obvious reason as to why you should put a trail race on your 2017 calendar: training for and racing trails is SO fun! In time, you’ll find an indescribable joy in training for and racing trails — at what other point in your adult life do you get to run through parks, forests, hills, or mountains like a child?! — and even when things get really tough, when you’re tired and don’t think you’re capable of ascending another monstrous climb or nimbly descending another quad-killing decline, you’ll fondly look back on all your weeks and months of training and remember how much mental and physical fortitude you gained during your forays with nature. Come race day, you’ll get an absolute kick out of the trail running environment and camaraderie, and after your race is over — once you’ve completed the distance and finished with a huge, enviable smile plastered across your face — you’ll wonder a) why it took you so long to venture into the trail running world and b) when the next race is?! While 2016 winds down and 2017 creeps near, consider adding a trail race to your calendar. Luckily, there are distances available for everyone in the trail racing community, ranging from a 5k all the way up to a 100+ miler or multi-day races. Just like with most everything else in running, finding a trail race to train for and race ultimately boils down to finding the one that fits best with your needs, schedule, and goals. Dan Chabert is from Copenhagen, Denmark. He is an entrepreneur, husband and ultramarathon distance runner. He owns and manages runnerclick.com, monicashealthmag.com & nicershoes.com and he has been featured on a lot of popular runner blogs all over the world. If you want to check out some of the latest gear for your next challenge, visit GearWeAre.